So… what do we know about (Salvador) Dali? 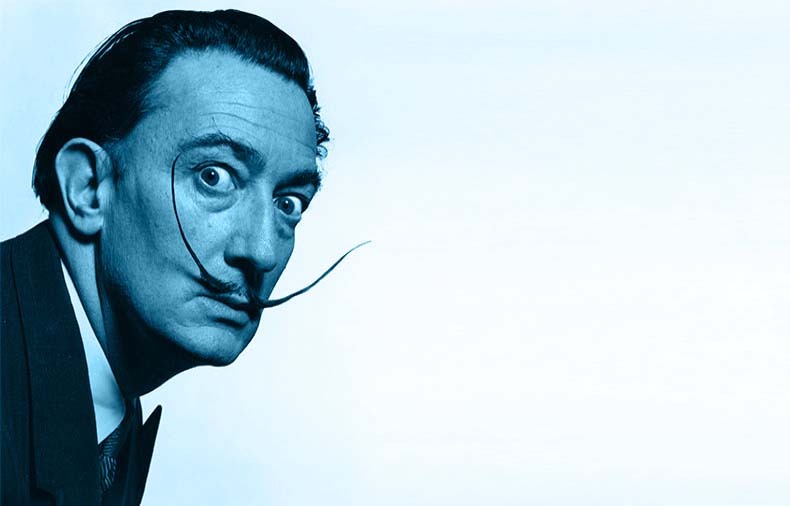 Salvador Dali is an anagram of Avida Dollars. Tried very hard to get Surrealism when a student studying the poetry of Paul “le monde est bleu comme un orange” Eluard, but eventually concluded that it was a load of tosh. As with many things in life, if something sounds like nonsense no matter how many people think otherwise and how many times they explain it, then it’s probably nonsense. Not sure what explanation of surrealism is necessary really when you’ve got the likes of Dali, Magritte, Ionescu, Bunuel, Monty Python, HMHB, etc, etc – works of hilarious angry beauty sticking fingers up at the old order and delving into the subconscious. Who needs a manifesto ? The ‘explanations’ you read were all piss-takes, surely? Dali, why do you paint? See here for the punchline. Avida Dollars indeed. Track on Trout Mask Replica ,Dalis Car, still sounds fine. Also the name of a band from the eighties methinks. Dali declared that Perpignan train station is the centre of the universe. Personally I disagree.